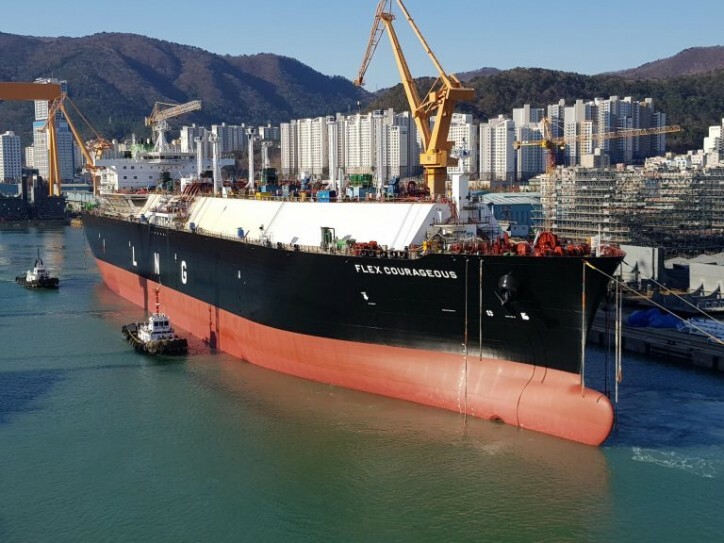 South Korea’s Daewoo Shipbuilding & Marine Engineering (DSME) launched on Saturday a brand new liquefied natural gas carrier for Oslo-listed Flex LNG, the shipping company controlled by billionaire John Fredriksen. The 173,400-cbm LNG carrier named Flex Courageous was launched at DSME’s Okpo shipyard. Flex Courageous is scheduled for delivery to its owner in August 2019, according to Flex LNG. Once delivered, the M-type, Electronically Controlled, Gas Injection (MEGI) vessel will be Flex LNG’s sixth carrier in operation. Flex LNG also has five tankers scheduled for delivery in 2020 and two in 2021. All of the vessels built by DSME and Hyundai Heavy will be equipped with slow speed, two-stroke engines – MEGI or X-DF propulsion.